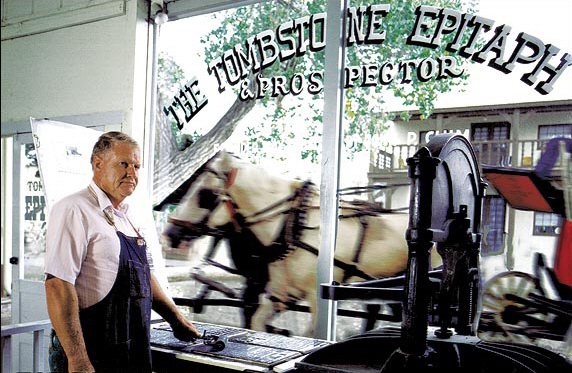 Since 1880, when The Tombstone Epitaph ® first reported on Wyatt Earp, Doc Holliday, and the Gunfight at the O.K. Corral ®, The Epitaph has been a leading voice documenting the rich history of the American West. 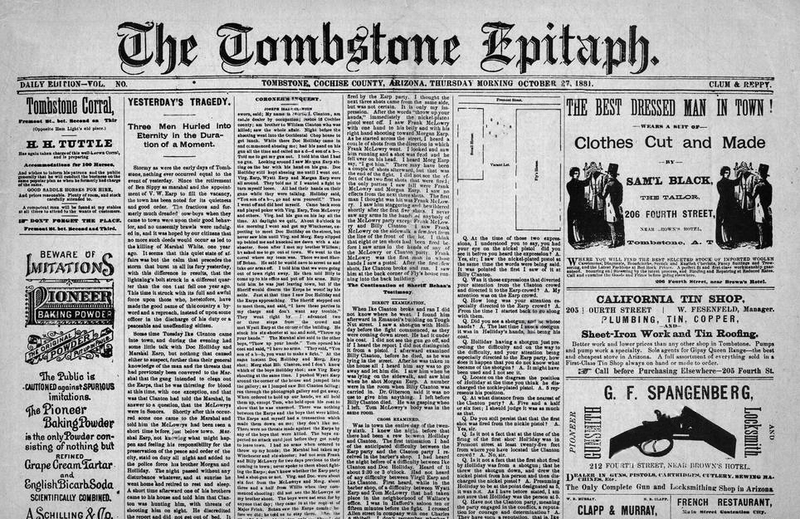 Today, The Tombstone Epitaph National Edition brings you monthly stories of outlaws and lawmen, soldiers and Indians, ranchers and townspeople...of inventions, intrigues, frontier cookery, Western humor, and Western travel. A fabulous gift for the Old West enthusiast and a souvenir of Tombstone that lasts all year. ...and receive four FREE historical editions - a $10 value! Explore the 1880s museum of Arizona's oldest continuously published newspaper. 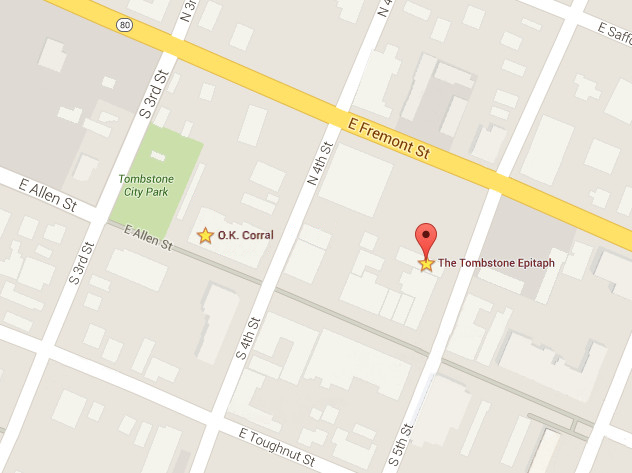 Located on Fifth Street between Allen and Fremont Streets behind the Crystal Palace Saloon. FREE ADMISSION! Read the original 1881 reports of the Gunfight at the O.K. Corral. Receive a reprint of the 1881 Epitaph with the original Gunfight reports as part of your O.K. Corral admission ticket.